These days it seems like everyone is changing recipes to be whole wheat or whole grain. I am reading all these articles about grinding your own grains… sounds super hipster. No matter what flour you use, my pizza recipes end up with the same amount of calories. So I am not sure how much time should be spent making things “whole.” In theory there is a difference in the breakdown of whole grains versus super processed grains in our body. It seems logical that the more processed the grains are the faster the food turns into sugar. Whole grains may be more slow burning carbs. But this pizza crust just tastes fabulous. I’m not trying to lie to you and say that this pizza is healthier because its whole wheat. This recipe makes two larger pizzas that I sliced into 8 pieces. This comes out to be about 165 calories for 1/8th of the pizza. Whole wheat or white whole wheat flour can be used here. I prefer King Arthur White Whole Wheat flour in most recipes, it has the best flavor. You can obviously use this for any of the Bubbly Kitchen pizza recipes: Gruyere and Caramelized Onions, White Pizza, Breakfast Pizza, Spicy Kale Pizza. 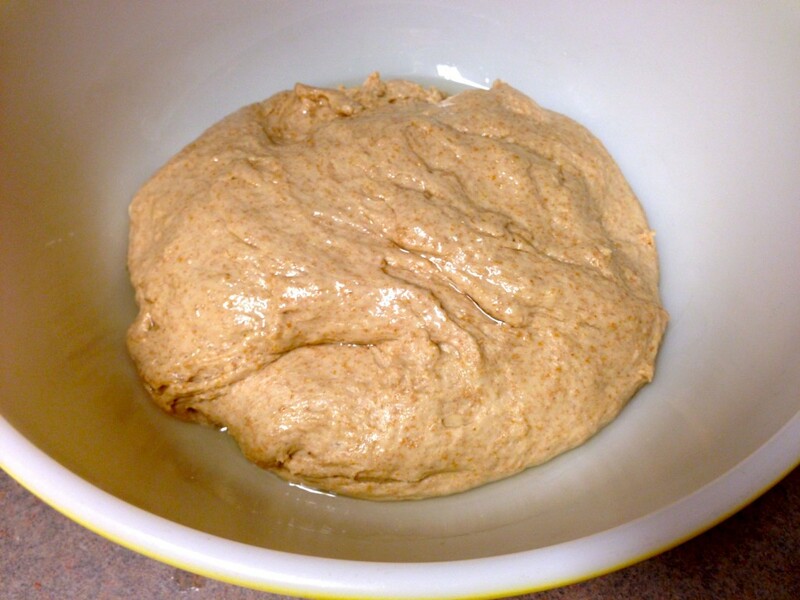 In the bowl of a stand mixer, fitted with the dough hook, combine the flours, water, yeast, salt olive oil, and honey. Mix on low speed until the dough comes together. Leave the mixer on for 6 minutes to knead the dough. Place 1 tsp olive oil in a large glass bowl and swirl around. Transfer dough to the bowl, turning once to coat in oil. Cover with a towel or plastic wrap. Rise for 1½-2 hours. Gently punch the dough to deflate it. 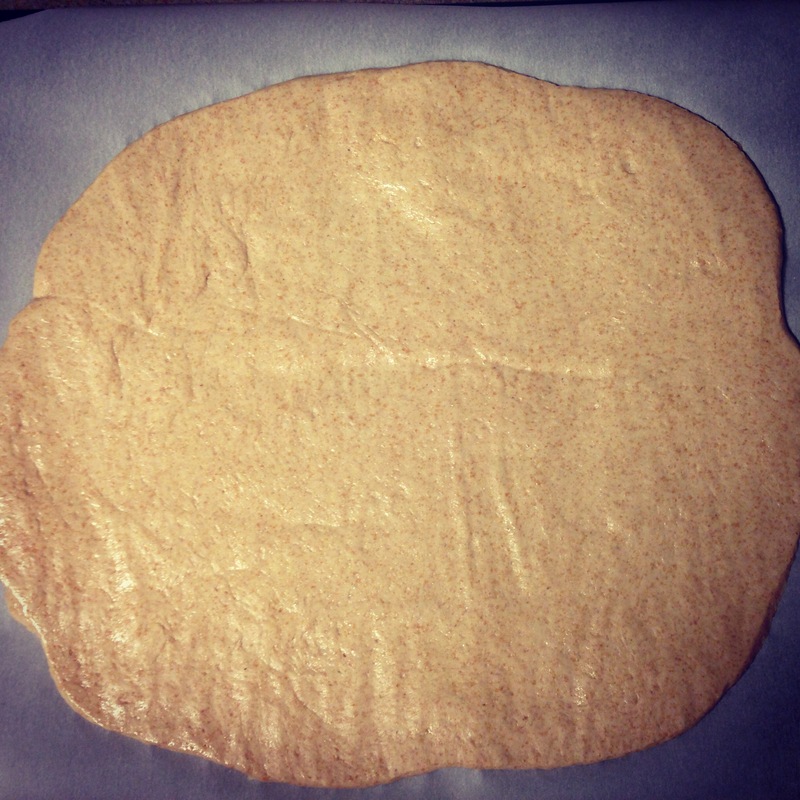 Turn it out onto a lightly floured surface and divide it into two pieces. Work each piece into a smooth ball. This I’d the step where I wrap one of the dough balls in plastic wrap and freeze it in a freezer bag. Allow the dough to rest for 10 minutes. 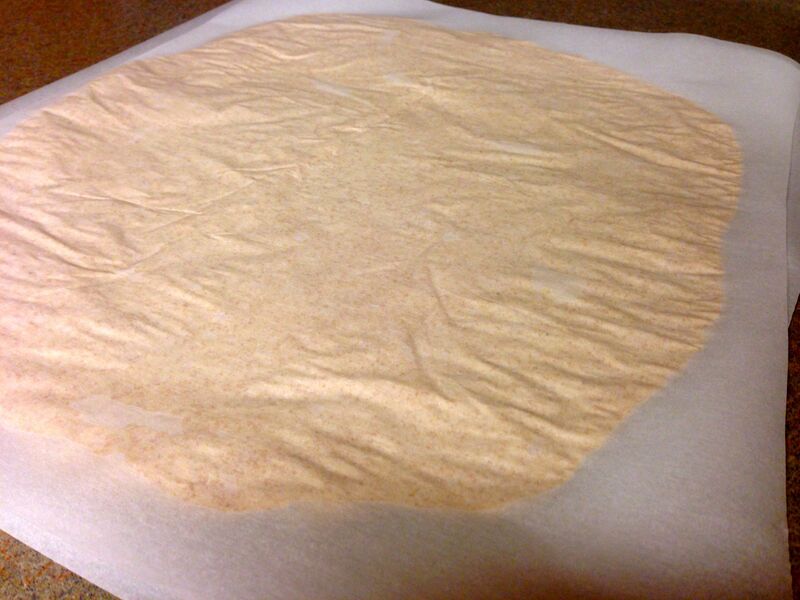 Roll out the dough between two sheets if parchment sprayed with olive oil. Preheat oven to 500 degrees with pizza stone in place. Place your toppings on the crust and bake for 10 minutes.